Introducing the Chukar. I did not know pheasants were here in Alaska and now I have them and the Chukar. 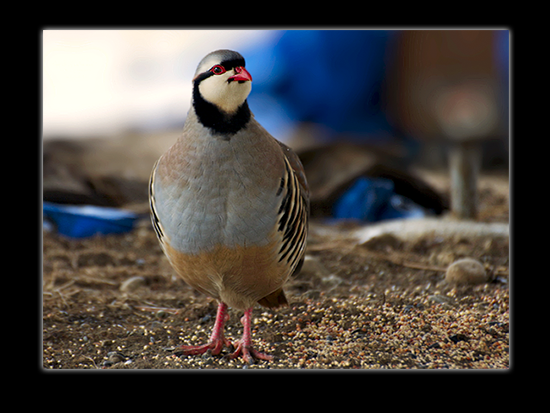 According to Cornell the Chukar was first introduced to the US in 1893 from what is now the country of Pakistan (formerly Karachi, India). So here we have another bird that thrives in the Central/Midwest up here proliferating under my deck. Yes there is a pair of these too.